Back when I was a middle school student, there were hardly anybody around me that traveled overseas. So when I went to my friend’s house and saw Japan Airline’s inflight magazine, I sensed a foreign smell from it. My friend’s father brought it home from his business trip to the US, and given how I was reading that magazine deeply, my friend ended up giving me that magazine. The magazine was made up of pages that had half Japanese and English text, and in the end of it, a route map that aroused my desire to travel overseas. I repeatedly read the magazine until it got worn out. The magazine I read featured Turkey. Turkey as a country is known for many things. For example, Istanbul, a city that incorporates both the eastern and western culture, the bleak and desolate land of Cappadocia that resembles a scene from Star Wars, and the fact that it is a pro-Japanese country since the Russo-Japanese war. As I read the featured article, I realized that Turkey has become one of the countries I wanted to visit. The chance to visit Turkey came ten years later. 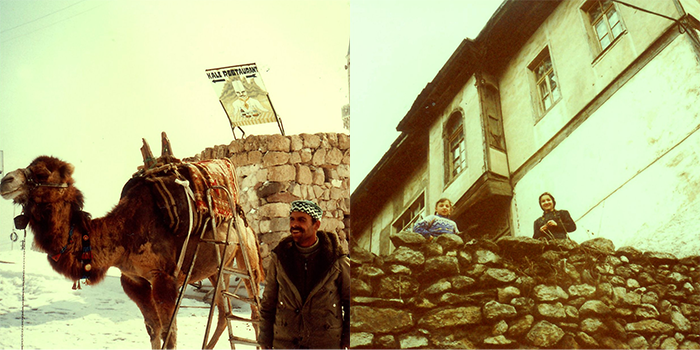 One of the places that left a strong impression in myself was the town of Safranbolu. This small, quiet town is located 400km east of Istanbul, and is registered as a world heritage for preserving its historical view that dates back from the Ottoman Empire. As I arrive at that town and start walking around by myself, I see a small boy beckoning me. The boy’s action seemed natural, and did not seem to have any business like attitude. I naturally followed the boy and ended up at a top of a small hill that overlooks the entire town. The place itself is not luxurious like a typical place that a tourist would visit, but the view itself was magnificent, and I thought that this boy really enjoys the view from the top of the hill we are both standing. Both the boy and myself do not share any common language, and the boy himself was somewhat silent, but I was able to spend a pleasant time. To show my appreciation, I tried giving him a piece of chocolate that I opened, but he would not receive it. I found this out later, but the time I visited Turkey was during Ramadan, and during that period, Muslims would not eat anything when the sun is up. I had a similar experience to the one I just wrote above several more times. On the next day, a little girl guided me inside a house of an old family. When I get tired from walking, I would rest at a café known as cayhane, and drink tea. After taking a good rest, and trying to pay for the tea, the staff makes a gesture in which it seems to tell me that my tea was paid by the old man sitting right in front of me. I did sit right in front of this old man, and despite how I did not speak with him, he made the payment without me noticing it. As I said thank you and bowed, he chimed in using his eyes. I was able to realize how great and cool he was as a person. The small kindness you receive during your travel is something more impressive than a scenic view you encounter. I wish I could express this kind of kindness, but since I’m still immature as a person, I feel the path to it still seems far.